I have a thing for abandoned places – sprinkled in unfathomable corners of the world, tattered testaments to hope and tenacity. Exquisite reminders of the human condition, posters for what defines mankind. Places cementing the essence of optimism, enterprise and good old fashioned delusion. 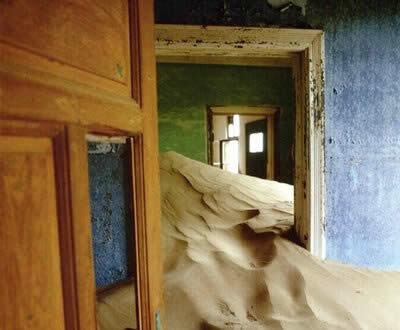 Kolmanskop in southern Namibia, another decaying remnant of abandoned dreams. In 1908, a German railway worker found a diamond a few kilometers from the port of Luderitz in Namibia. He showed his supervisor – a decision leading to the German government declaring the area “sperrgebiet” or “prohibited area”. (At the time Namibia was part of the German colony of south west Africa). Miners moved in, building Kolmanskop in the image of German towns. Hospitals, theaters, bowling alleys, power station, ice factory, the first tram in Africa, and a rail link to Luderitz. The first world war wreaked havoc on German interests in Africa. Ultimately the diamonds ran out – the town was abandoned in 1954. 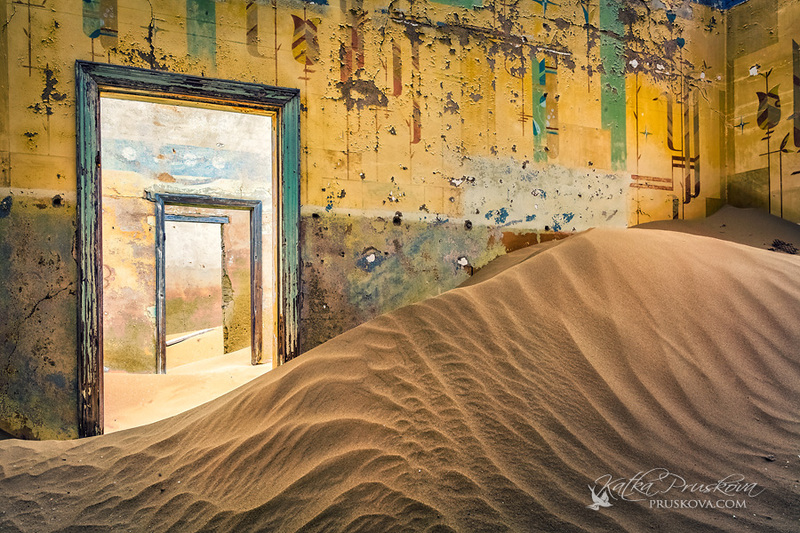 Kolmanskop, abandoned for over 50 years, waits to be reclaimed by the desert. Pondering abandoned places – history’s way of telling us what it is to be human.